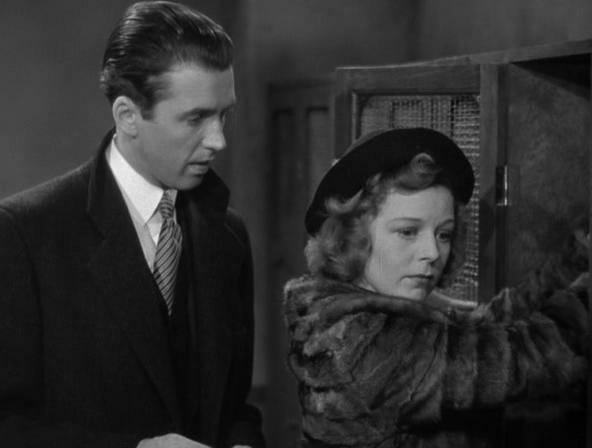 The Budapest department store run by Hugo Matuschek (Frank Morgan) is a happy little society of salesclerks, where assistant manager Alfred Kralik (James Stewart) and salesgirl Klara Novak (Margaret Sullavan) don’t at all see eye to eye. But in secret pen-pal letters they’re madly in love with one another, each hardly guessing who their mysterious secret admirer might be. Ernst Lubitsch is offering some attractive screen merchandise in “The Shop Around the Corner” which opened at the Music Hall yesterday. 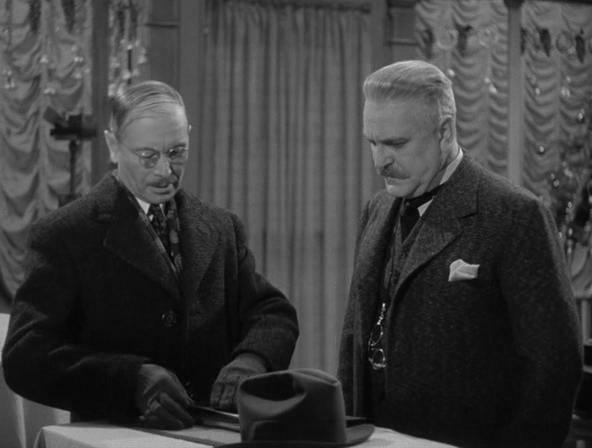 “Ninotchka” appears to have used up his supply of hearty comedy for the time at least, but his sense of humor is inexhaustible. He has employed it to brighten the shelves where his tidy Continental romance is stored and, among the bric-à-brac, there are several fragile scenes which he is handling with his usual delicacy and charm, assisted by a friendly staff of sales-people who are going under resoundingly Hungarian names, but remind us strangely of Margaret Sullavan, James Stewart, Frank Morgan and Joseph Schildkraut. All told, they make “The Shop Around the Corner” a pleasant place to browse in. 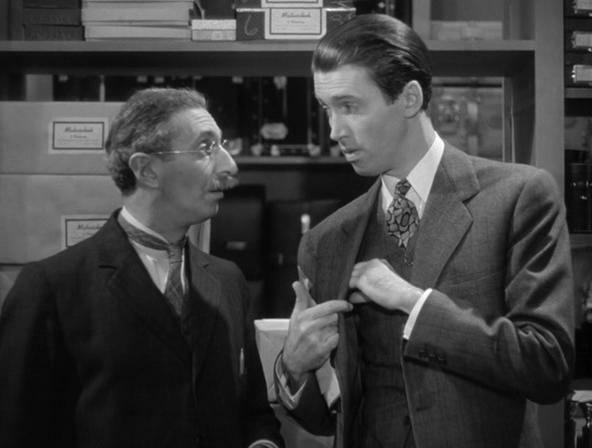 The shop Mr. Lubitsch has opened, for his romantic-comedy purposes, is a very real one: Matuschek & Co. is its name; it seems to be in Budapest, and Mr. Morgan is not alone Matuschek, but the “& Co.” as well. His clerks are most deferential. The ritual of each day’s shop-opening is punctiliously observed. Less reverent, perhaps, is the circumstance that Clerk Vadas (Mr. Schildkraut) is having an affair with Madame Matuschek. Still more distressing is the fact that Matuschek suspects Clerk Kralik of the intrigue, while Kralik (being Mr. Stewart and therefore purer than Galahad) has been doing nothing worse than conducting an anonymous Lonelyheart correspondence with a dream girl who also happens to be working in the shop—although neither of them has the faintest notion that the other is the Dear Friend of the letters. In fact, Kralik and Miss Novak just don’t get along at all. So there it is, and a pretty kettle of bubbling brew it makes under Mr. Lubitsch’s deft and tender management and with a genial company to play it gently, well this side of farce and well that side of utter seriousness. Possibly the most surprising part of it is the adaptability of the players to Mr. Lubitsch’s Continental milieu whose splendid evocation is one of the nicest things of the picture. But they all have become natural figures against a natural background—even Mr. Stewart, who, on the face and speech of him, hardly could be called the Budapest type, and Mr. Morgan, who plays a benevolent dictator (in leather goods) with scarcely a trace of the comic fluster and bluster that have established him as one of Hollywood’s most standardized funny men. Miss Sullavan, making one of her all-too-infrequent appearances, reminds us she still is one of our most piquant and delightful screen ladies, and there have been amusing contributing performances by Mr. Schildkraut as the unctuous rascal of the piece, by Felix Bressart as the timorous senior clerk and by William Tracy as the epitome of all sassy (and much put upon) errand boys. Mr. Lubitsch must set up shop soon again.